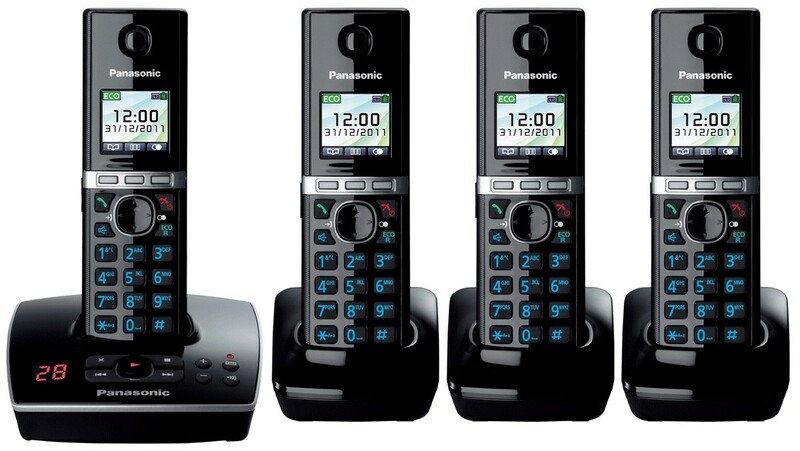 Panasonic launches the impressively well-crafted KX-TG 8064 in their new range of premium quality cordless DECT phones. This state of the art home phone with integrated answering machine features a lustrous black handset with and a blue-illuminated keypad. The comfortable handset has a ringer LED for optimum visibility. There is a central joystick navigation control for easy operation of the phone’s various functions via the intuitive menus on the bright and highly readable colour display screen.